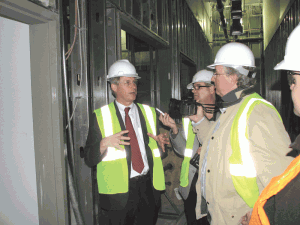 Members of the media had the opportunity to tour the inside of the Massachusetts Green High Performance Computing Center on March 14. 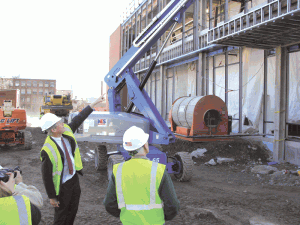 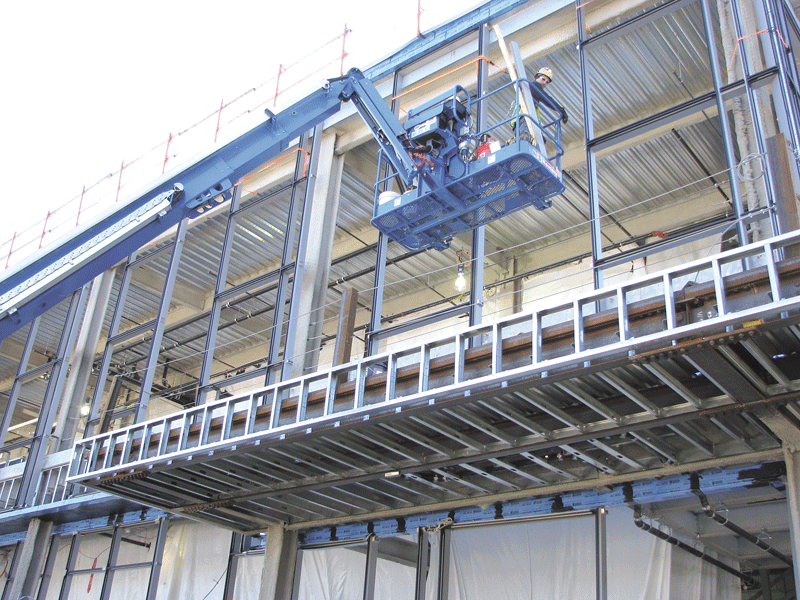 John Goodhue, executive director of the center (seen at top and second-from-top), led a tour of the 90,000-square-foot, $168 million facility taking shape at the former Mastex Industries site in downtown Holyoke. 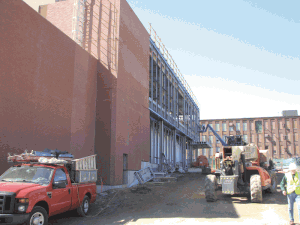 Work on the center is expected to be completed at the end of this year. Partners in the center are the University of Massachusetts, Harvard University, the Massachusetts Institute of Technology, Boston University, Northeastern University, EMC Corp., and Cisco Systems. 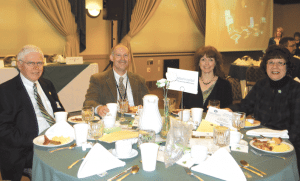 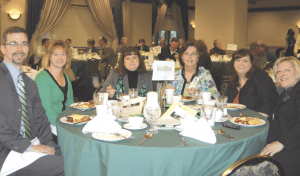 The Greater Westfield Chamber of Commerce staged its annual St. Patrick’s Day Breakfast on March 16. 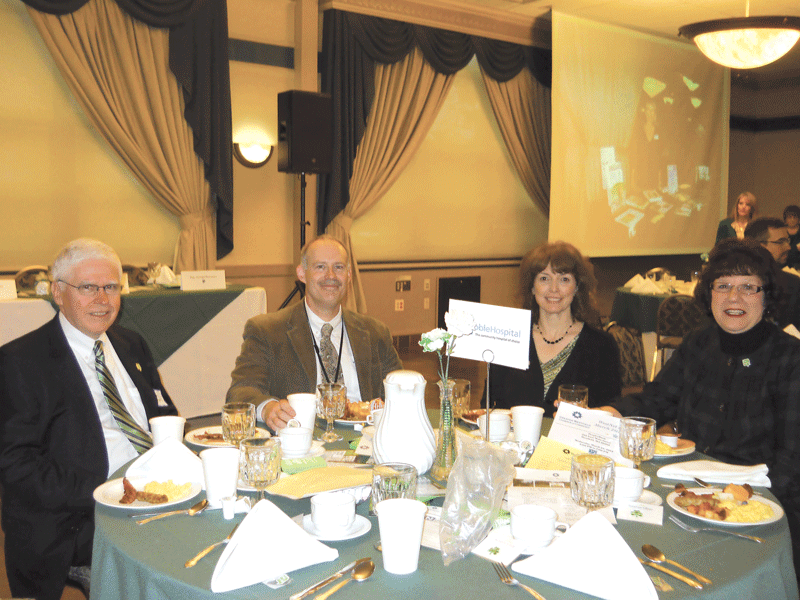 A number of city officials and state legislators took to the podium, and BusinessWest Editor George O’Brien delivered the keynote address. 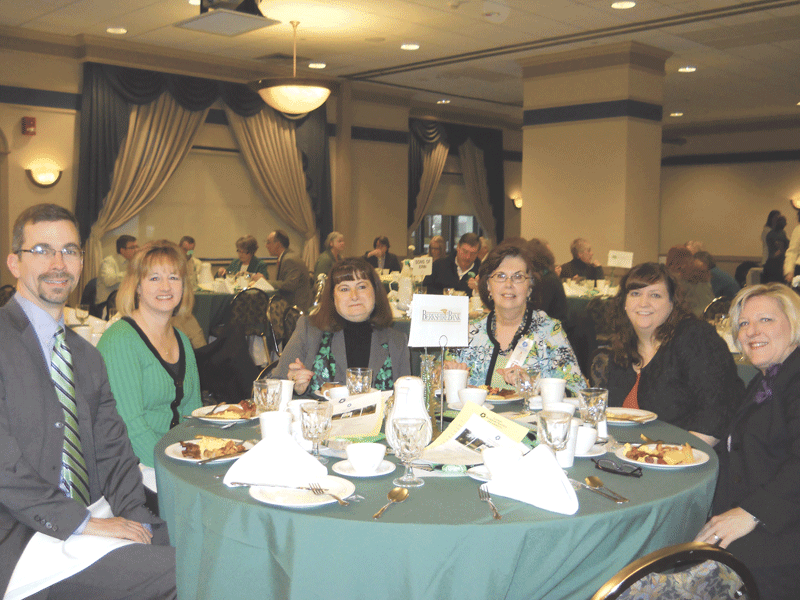 At top, a delegation from Berkshire Bank takes in the festivities, while below, representatives of Noble Hospital enjoy the day’s events. 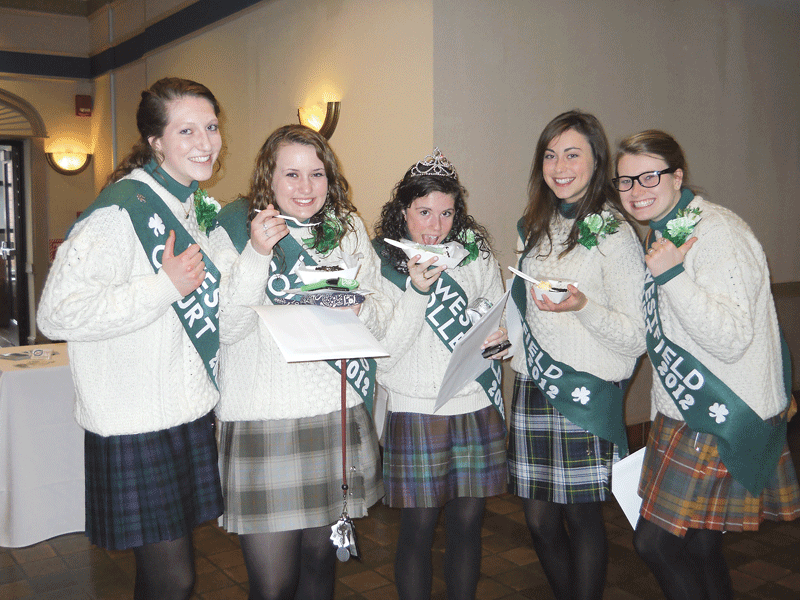 At bottom, the Westfield Colleen, Meagan Susan Casey (center), enjoys a bite of cake with her court, from left, Meaghan Kwarzinski, Ryan Hickson, Sinead Smith, and Connor Sheehan.